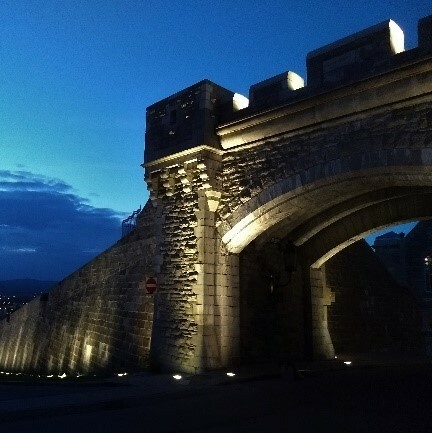 The inner city wall surrounding Old Québec. 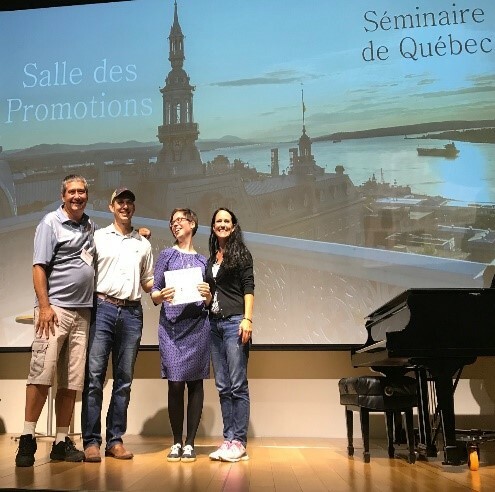 The 13th North American Forest Soils Conference was held jointly with the 9th International Symposium on Forest Soils in the UNESCO World Cultural Heritage Site of the Historic District of Old Québec in the early summer of 2018. The conference sub-themes were intended to encourage submissions with broad representation of the various soils-forests regions of North America and internationally. I noted that the main focus was given to the boreal and temperate forest ecosystems. 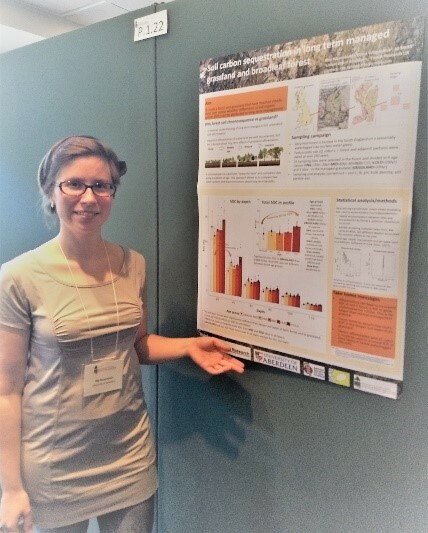 Me presenting the poster about soil survey under an oak forest. I have chosen to present two posters in the thematic session targeted toward – The role of forest soils in climate change adaptation and mitigation. Coincidentally, this session kicked in at the first day of the conference and I had to dive without any further ado. Looking back, I realise that I was ambitious with two posters, while conference organisers were very considerate and put them next to each other. Still I found myself speeding up my presentation about soil survey under oak forest, after seeing another interested researcher next to the poster about using the aforementioned survey to model soil carbon dynamics. All is well what ends well, I got invaluable advice about my research deign, poster composition, presentation style, the importance of ‘p’ values, got to know researchers from Finnish forest modelling group and, hopefully, left a lasting impression with my rushed speeches. The second day we had a chance to see and discuss the Quebec City region forest, soil and watershed management. This region has a lot to offer in terms of ecological diversity. It is the meeting place of three geological formations (The Appalachian, the St-Lawrence Lowlands and the Laurentians), it is where the saltwater meets the fresh water in the St-Lawrence estuary; it is where the Northern hardwood biome meets the boreal forest. The one day field visit took us through various ecosystems and highlighted soil type and ecosystem management as well as forest research and included a visit of the boreal forest of University Laval Montmorency Forest one of the largest teaching and research forests in the world. University Laval Montmorency Forest that occupies 412 km2 territory. The patches on the mountains are harvesting areas that should mimic naturally occurring insect attacks. Fire is prevalent in this type of forest, but Montmorency Forest has not burned for 3000 year. The rest of the conference I have updated my knowledge about the diverse topics ranging from fire effects on forest floor formation and nitrogen leaching to various bacterial responses to brash removal and compaction. One of the presentations revealed undiscovered treasures of the long term observation study in the boreal forest spanning through more than six decades. This study would be prefect for my model development purposes and here comes the ‘but’. People governing all the samples and materials don’t know what and where they have, because everything is in the carton boxes and no digital archive exists. Now I am considering becoming a science archaeologist, applying for a small grant and going to Canada to sort out these boxes, because the treasures there are more tempting than gold. I am grateful for this opportunity and will try my best to use my new network, knowledge and insight to further the research in this small, but vigorous forest soil science community.